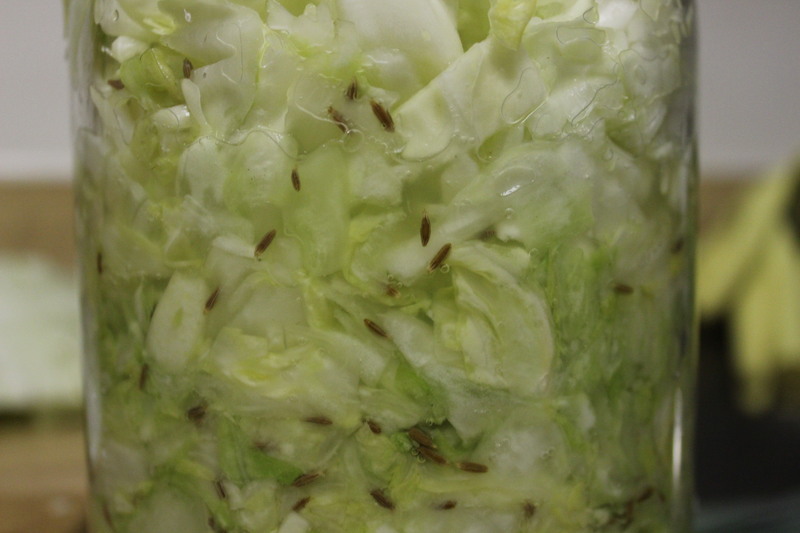 Homemade sauerkraut and other lacto-fermented foods are a great way to preserve fresh food from your garden, C.S.A. share or farmer’s market. They are rich in natural probiotics, microbes and lactic acid to promote digestive health, nutrient absorption and the immune system. Today’s D.I.Y. 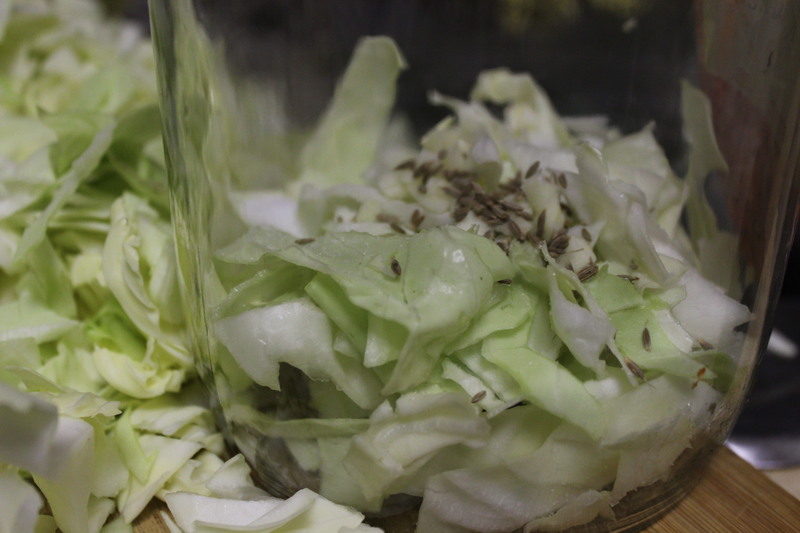 Friday post will show you how simple it is to make your own homemade sauerkraut and other fermented vegetables. 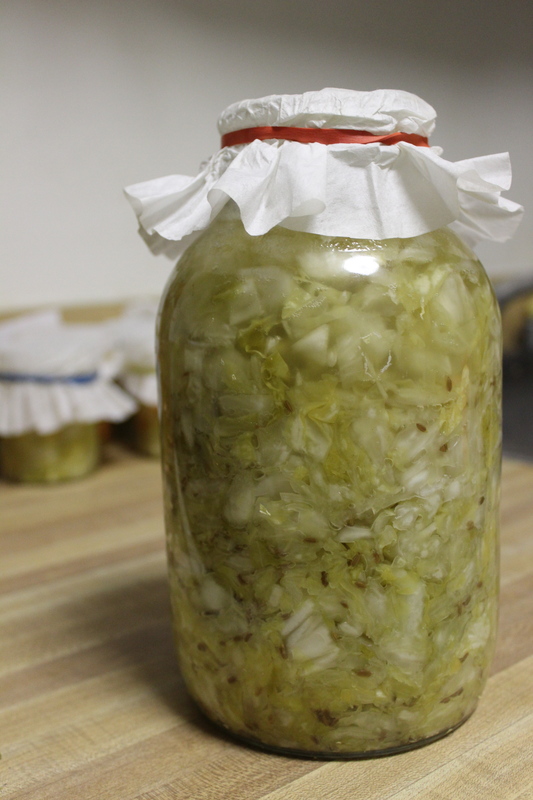 If you want to read a little deeper and learn more about the benefits and history of lacto-fermented foods, check out the links below these instructions. -Wash vegetables in filtered water. 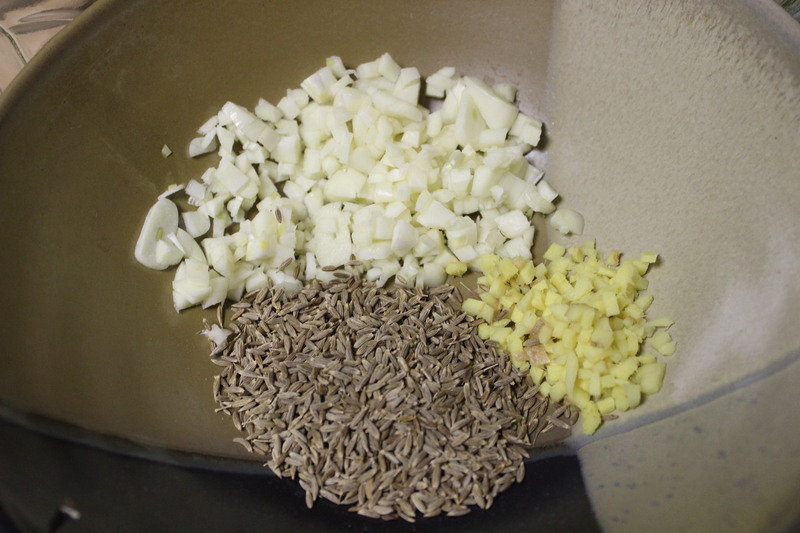 -Chop vegetables and herbs to desired sizes. If you like big chunks, make big chunks, if you like small pieces and shredded veggies, go for it! -If you are fermenting in a large jar, add vegetables, salt and herbs and spices in layers, if you’re using small jars, just put them in all at once. You can decide how much salt you want based on how salty you like your foods. A good general rule is 1-3 tbsp per gallon of ferment, adjust this measurement based on the size of your jars (for my smallest jars, less than a pint, I used about 1/2-3/4 tsp of salt). Be careful not to over salt, too much salt can slow the fermentation process. 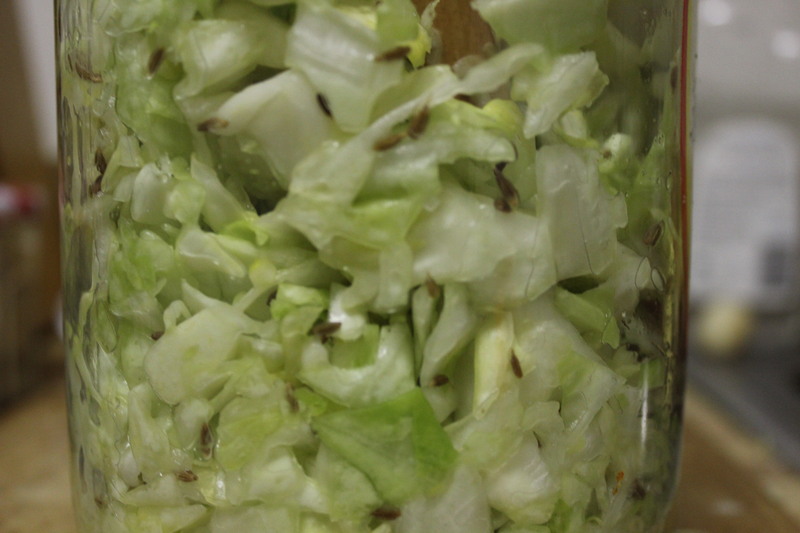 -As you add cabbage or other vegetables to your jars or crock, tamp or pound it down. The salt will help extract water out of the vegetables. Keep adding vegetables as you go along, until the water covers or almost covers the vegetables and you have about 2-3 inches of space at the top of the jar. -If the water extracted from the vegetables by the salt covers the top of the vegetables, you are ready to move on to the next step, but if the water isn’t covering the top of the vegetables, add enough filtered water to cover the vegetables and then push them down under the liquid. 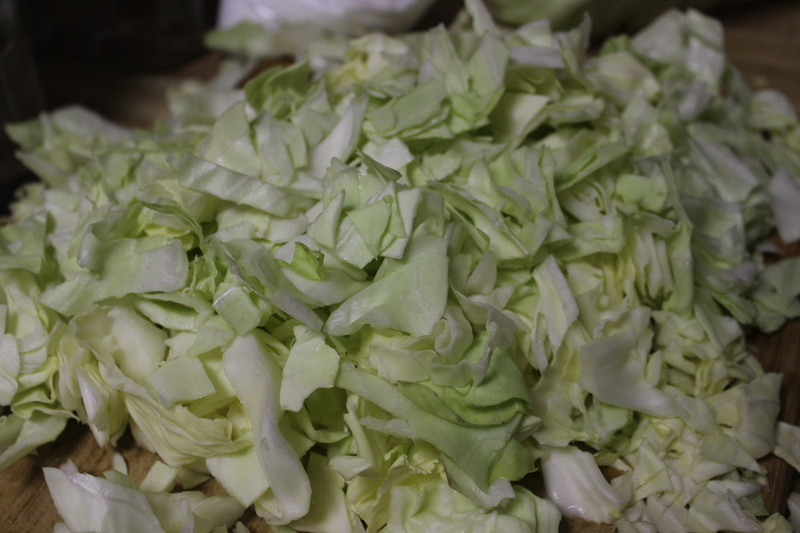 -Use a whole cabbage leaf to cover the vegetables and push under the water. If you have weights or something you can use to hold it under the water, put them on top. -Cover the jar with a coffee filter and fasten with a rubber band. Some people choose to cover loosely with the jar lid, but if you do this make sure it is loose and that you open it completely at least once or twice a day, to prevent a buildup of gasses as the vegetables ferment. 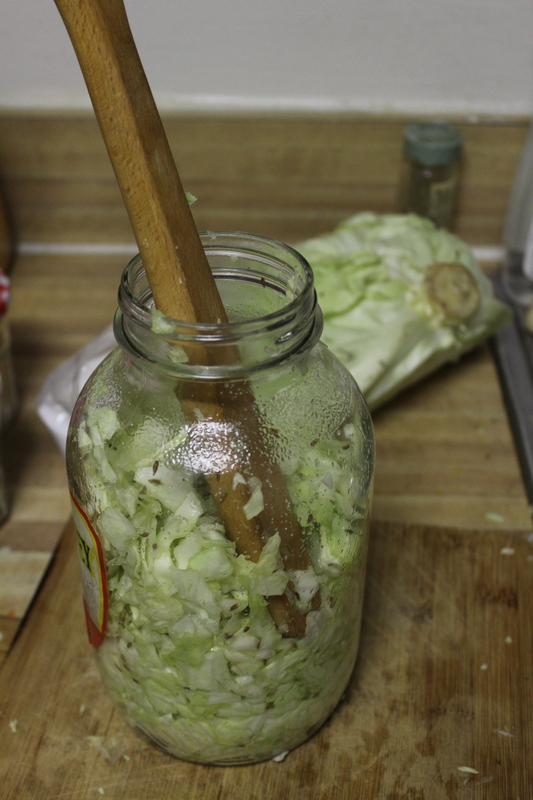 You don’t want a mess of fermented vegetables and glass to clean up if it breaks from the pressure. 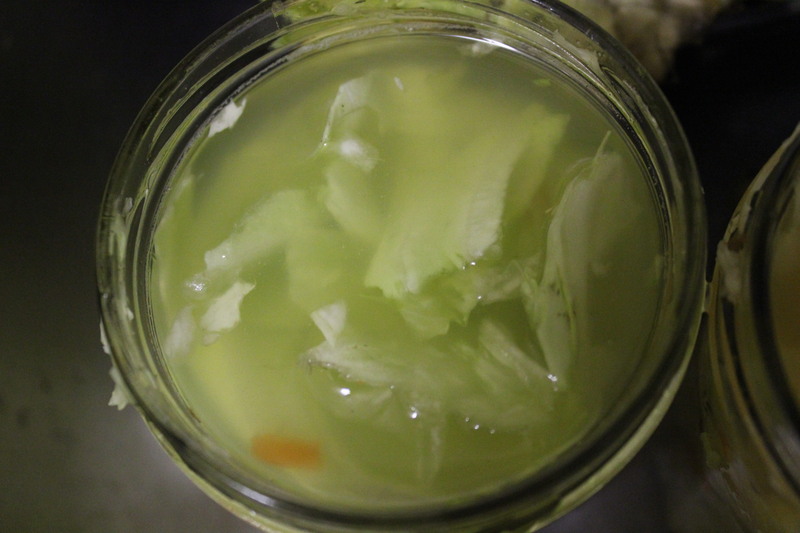 I also push the top of the cabbage down once a day with the back of a spoon to help release any gas bubbles forming in the fermentation process and keep the top of the cabbage under the water. 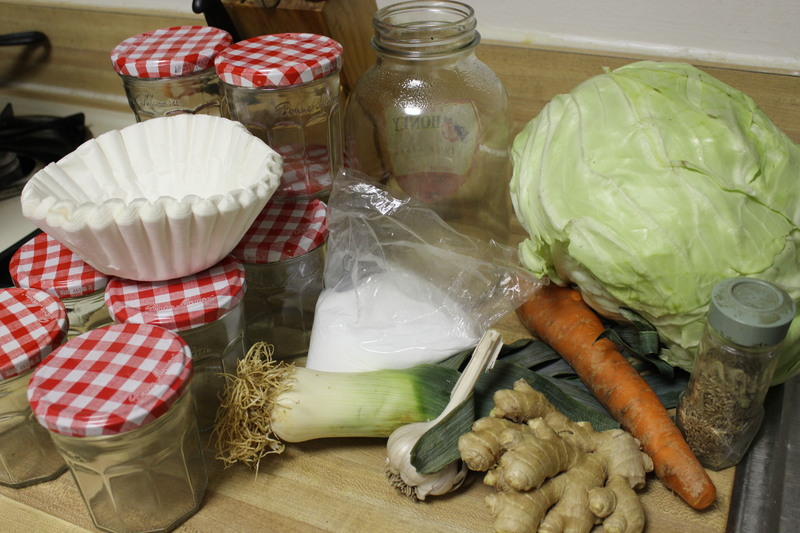 -Fermented food can take 2-6 weeks to reach the desired taste, and the warmer it is, the faster they ferment. After a few weeks, start taste testing every couple of days. You’ll know when you like it. Once you have the desired flavor and consistency, cover it with the lid and put it in your fridge. The cold air will slow down the fermentation process. Sometimes they will develop a film, mold or a scummy look on top. Just skim that out, and remove just the top layer of vegetables. It is only on the surface and it will not ruin the food underneath.